We’ve come a long way from when podcasts were just one of Apple’s side projects for the niche and the tech-savvy. Halfway through 2017, talk radio – in podcast form – is officially back in vogue with the North American mainstream. We are living, according to some experts, in a “podcast golden age” – and with the popularity and diversity of these on-demand radio shows ever on the rise, there’s no shortage of listening options, no matter where your interests lie. If anything, it seems as though podcasts are especially well-suited to classical music. After all, it’s not that large of a leap to make from music to talk radio, especially when audiences are already used to investing 20 to 30 minutes of their listening time into a single sonata or concerto. And like any of the arts, classical music is full of experts and artists eager to weigh in on how the music works, and why it matters. Here are six classical music podcasts that we’ve been listening to this summer. Produced by WQXR’s Q2 Music, Meet the Composer is a force to be reckoned with in the world of contemporary music. Hosted by violist Nadia Sirota, the show features intimate, artistically probing interviews with some of the biggest names in modern music. With high quality audio samples of each composer's work, as well as a “From the Vaults" miniseries that resurrects archived interviews from the original “Meet the Composer” 1980s radio show that gave the podcast its name, Meet the Composer demystifies new music and reveals its secrets, with a passion that is catching. This episode of Meet the Composer features the music of Icelandic composer Anna Thorvaldsdottir, as she and Sirota talk about workflow, orchestral writing, and finding a sense of home. NACOcast is one of several podcasts coming out of the National Arts Centre in Ottawa. Originally hosted by now-retired tubist Nicholas Atkinson, the show has recently been taken over by Sean Rice, who plays second clarinet in the NAC Orchestra. 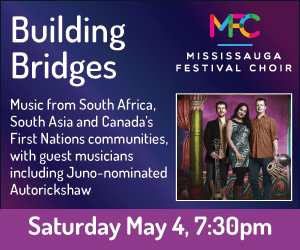 While the show is heavily rooted in the programming that the NACO does in its concerts, there's plenty here that will interest even those outside of the Ottawa area. Episodes explore themes that tie together different classical masterworks, bring in musicians from the NACO to talk about the secrets behind orchestral playing (like on “The Oboe - Beyond the ‘A’”) and present interviews with guest artists about the nature of classical music today. LISTEN TO: Sean Rice chats with Nadia Sirota before the Canadian premiere of Nico Muhly’s electrifying viola concertoNadia Sirota – incidentally, the host of Meet the Composer – comes to Ottawa to perform Nico Muhly’s viola concerto, and talks with Sean Rice about her friendship with Muhly and how performers today are reinventing classical music as we know it. Each episode features a composer who is a woman, including interviews and musical samples of their work. The composers interviewed range from well-known names in contemporary music, to emerging and underrepresented artists whom, like us, you’ll probably never have heard of. Blair and her guests talk composer-to-composer about how they navigate the classical music industry, how they write music, and where their work has taken them. NPR’s popular podcast From the Top, hosted by concert pianist Christopher O’Riley, features performances of classical music by kids and teens from across the United States. O’Riley and his team travel the country to interview and record young performers (with O’Riley serving as not only host but also itinerant piano accompanist). The show features some incredible performances from young musicians, and O’Riley is an honest and earnest host, with a knack for picking out what makes each performer’s story relatable or unique. The future of classical performance is in very capable hands. A recent episode of From the Top found O’Riley and team in Honolulu, featuring performances by the Hawaii Youth Symphony Orchestra and a stunning Prokofiev interpretation by Yesong Sophie Lee, the 13-year-old junior winner of the 2016 Menuhin International Violin Competition. Twenty Thousand Hertz isn’t technically a classical music podcast, or even a music podcast at all – but if any radio show could honestly be described as Cageian, this would be it. Twenty Thousand Hertz is dedicated to finding out the stories behind sounds – both the strangest sounds in the world (like the mysterious phenomenon on the Canada-US border known locally as the ‘Windsor Hum’) and those so ubiquitous that we normally hardly notice them (like noise pollution). New and already promising, Twenty Thousand Hertz is addictive listening for anyone interested in audio, of any kind. Twenty Thousand Hertz brings in underwater acoustician Al Jones to talk about the ocean, which contains a ‘secret world’ of very loud sounds – some of the loudest and most unusual on the planet. The SOUNDLAB, hosted by Edmonton-based composer Paul Steenhuisen, features interviews with composers, often with Toronto ties, as well as examples of their work. It’s clear from his interviews that Steenhuisen is a keen listener who does his research; his conversations with guest composers always seem to dig into the core of what their music tries to achieve. He often synchronizes his work with that of Toronto concert presenters, so for GTA listeners, the show also functions as a helpful pre-concert primer on music being performed in town. In this episode from 2015, Steenhuisen talks with Philippe Leroux, who was about to travel to Toronto from Montreal to collaborate with New Music Concerts on a show featuring his music. The two composers talk, often switching back and forth between English and French, about spectralism, aesthetics, and, interestingly, chickens. We’ve refrained from *officially* recommending our own stuff here, but it’s worth briefly mentioning that The WholeNote also has a podcast – Conversations at The WholeNote – available on our website. Our own show is by no means fully formed: originally a YouTube channel of video interviews with local performers and composers, the episodes have recently been transferred to an audio-only format. They’re freeform interviews, uncut and largely unedited – but if you’ve ever had the feeling of hearing Sondra Radvanovsky, Jonathan Crow or Jan Lisiecki perform in Toronto and wanting to be a fly on the wall while they explain what makes them tick, here’s one way to do it. All of the podcasts above can be streamed from the broadcasters’ websites, or via any podcast app on your device.